Because of having friends in London, me and my boyfriend don’t do the whole tourist thing very much. 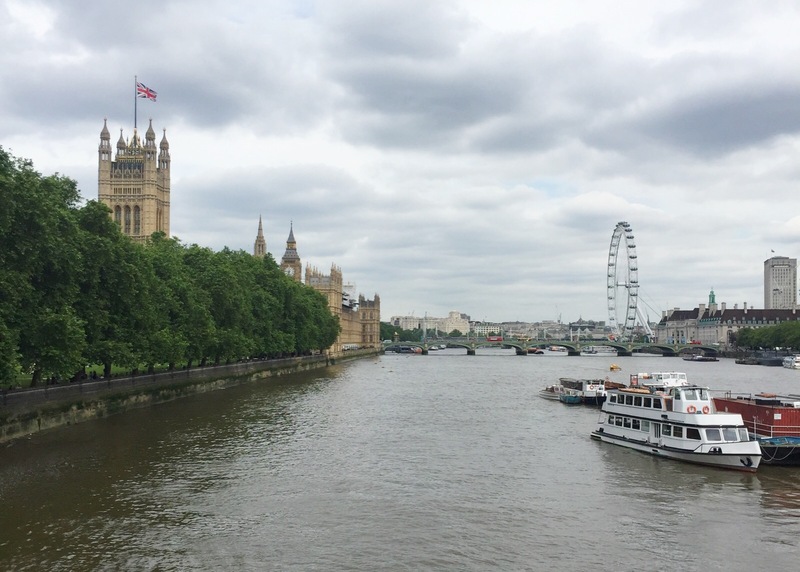 So when we fancied a little mini break to the capital, we decided to don our backpacks for a few days and squeeze in as many attractions as we could manage. The main point of our trip was going to see The Lion King. I’ve wanted to see it for ages, even though I have mixed feelings about musicals. I love the Wizard of Oz and Bugsy Malone, but seeing Les Miserables at the cinema was honestly one of the worst experiences of my life. So it was with some trepidation that we booked our (very expensive) tickets. Before the show we ate at Clos Maggiore in Covent Garden, which was amazing. It certainly wasn’t cheap but I’d highly recommend it to make a theatre trip extra special. Plus, it’s just around the corner from the Lyceum (and a fair few of the other theatres) so you can relax and enjoy your dinner without worrying about getting to the theatre on time. Clos Maggiore has been named the most romantic restaurant in London. It’s beautiful inside (if you’re booking, ask for a table in the conservatory) and the fine dining menu is enough to make anyone fall in love. The food was delicious. As for The Lion King, we weren’t disappointed. I do think hype is a big problem – it’s really hard to be blown away by something when your expectations are high, however realistic you try to be. So I didn’t think it was out of this world amazing, but I did really enjoy myself. The colourful set and costumes, all the brilliant songs from the film and some clever touches in the staging made it a really enjoyable show. The next day we headed off to the Sky Garden. It’s free to enter, but you do need to book. There’s a viewing platform where you can see lots of London’s famous landmarks, and inside there’s a botanical garden and various places to get a very pricey drink or something to eat. You only need about an hour here but it’s a cool place to have a wander round and a little drink. Next up was London Dungeon. This was somewhere my boyfriend really enjoyed as a kid, and I had never been. It was an eye watering £28 each to get in, and it was very busy. This was a shame as you felt herded in all the time, but it was good fun. There were lots of actors to bring the stories to life and a fair few interactive bits to get you shrieking. I wouldn’t necessarily recommend this for children as it was pretty spooky at times! After London Dungeon it was time to refuel before heading home. We went to Franco Manca for pizza, which was recommended to me on Twitter by Sarah Ann. We really enjoyed our pizzas, which were covered in delicious mozerella and cost under £7. Definitely the best value for money meal I’ve had in London, and a great way to top off a brilliant two days. What are your favourite things to do in London? Always enjoy reading/seeing what people do in London as we’re currently living here! And other than the Sky Garden, we haven’t done anything else you’ve done – this has just inspired us to go do these things. Definitely want to see Lion King! Have you seen Wicked? My favourite one so far! Would love to see some more photos. But loved to read about it. I did struggle a little getting photos for this one! Glad you enjoyed the post though.